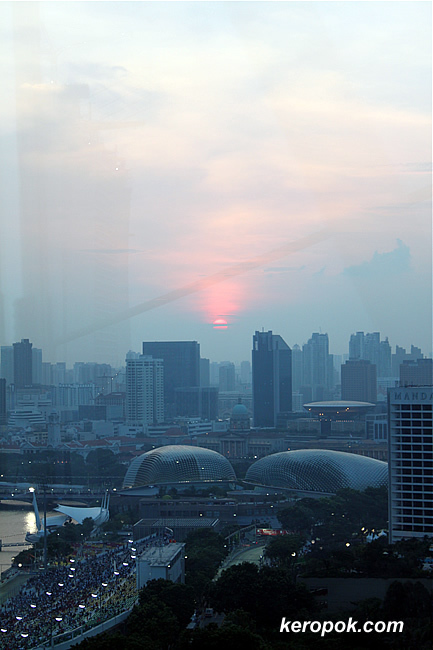 Admiring the sunset from the Singapore Flyer. It's amazing how fast the sun descends down the horizon. Oh, if you are wondering...that's the reflection of the glass of the cabin.